Editor-in-Chief, Florida State University Law Review (1986). Leadership Florida, Board of Regents, 1992-1993, 1994-2003. Florida Chamber of Commerce, Board of Governors, 1996-2003. Florida Conflict Resolution Consortium, Advisory Council, 1994-2014. Tallahassee Chamber of Commerce, Board of Directors, 2000-2005. For more than 30 years, David has represented clients in the planning and entitlement of complex real estate developments throughout Florida. David emphasizes strategies that position a client to negotiate favorable outcomes during regulatory review because he believes the most important decisions are the ones that a client makes before an application is filed. Experience throughout Florida in all facets of land development regulation of master-planned communities, major infrastructure projects, and commercial, industrial, and resort developments. Advises clients on large-area plans for major landholdings throughout Florida, including sector plans on agricultural lands and rural landscapes. Counsels clients on long-term strategies to “position” property for changing real estate markets and to take advantage of government-funded infrastructure projects. Member, Transportation and Land Use Study Committee (1999); Chairman Public Schools Construction Study Commission (1998); and Executive Director, Environmental Land Management Study (ELMS III) Committee (1993). Reporter (New York, Miami, Tallahassee bureaus) and Bureau Chief (Tallahassee bureau), The Associated Press, 1975-1981. Reporter, St. Petersburg Times, 1981-1983, and Florida Times-Union (Tallahassee bureau), 1984. Adjunct Professor of Law, Florida State University, 2003-2017. Sector Plans, Florida Environmental and Land Use Law Treatise (2014) (co-author). The Environmental Land and Water Management Act of 1972 – Developments of Regional Impact and Areas of Critical State Concern, Florida Environmental and Land Use Law Treatise, (2012) (co-author). Administrative and Judicial Review of Land Use Decisions, Florida Environmental and Land Use Law Treatise (2012) (co-author). Green Light for Sector Plans, Florida Bar Journal (September/October 2011). The Way We Live, Journal of Land Use and Environmental Law (Fall 2007). Growth Management: Florida’s Past As Prologue For The Future, Florida State University Law Review (Winter 2001). Back to Basics on School Concurrency, Florida State University Law Review (Winter 1999). A Measured Step to Protect Private Property Rights, Florida State University Law Review (Fall 1995) (co-author). Florida’s New Law to Protect Private Property Rights, Florida Bar Journal (October 1995) (co-author). Recent Changes in Concurrency, Florida Bar Journal (November 1994). Managing Florida’s Growth: The Next Generation, Florida State University Law Review (Fall 1993). The Flexible New Approach to DRI Aggregation, Florida Bar Journal (August 1989) (co-author). Unfinished Business – Protecting Public Rights to State Lands From Being Lost Under Florida’s Marketable Record Title Act, Florida State University Law Review (Fall 1985). Listed in Chambers USA, 2007-2018 editions. Listed in the annual publication of The Florida Super Lawyers, 2006-2018 editions. 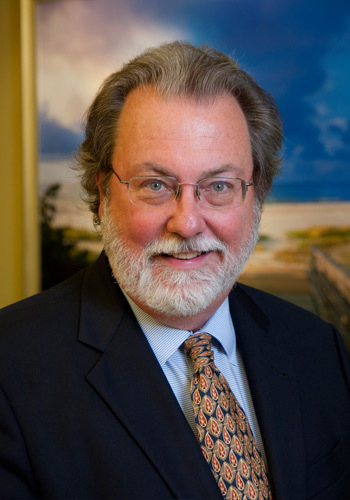 Listed in Florida Trend Magazine’s “Legal Elite” Hall of Fame for Land Use & Zoning Law. Named the Best Lawyers 2019 “Lawyer of the Year” in Tallahassee for Litigation-Land Use & Zoning. Listed in the Best Lawyers “Lawyers of the Year” for Florida (Tallahassee region) in 2011 & 2017 for Land Use & Zoning Law and in 2012 for Real Estate Law. Listed in Best Lawyers in America, for Real Estate Law and Land Use & Zoning Law, 2001-2019 editions. 2016 Member of the Year, Urban Land Institute, North Florida District Council.